Anthony Youn, MD, America’s Holistic Plastic Surgeon®, Dr. Youn is the best-selling author of “The Age Fix” and “In Stitches” and a television personality. 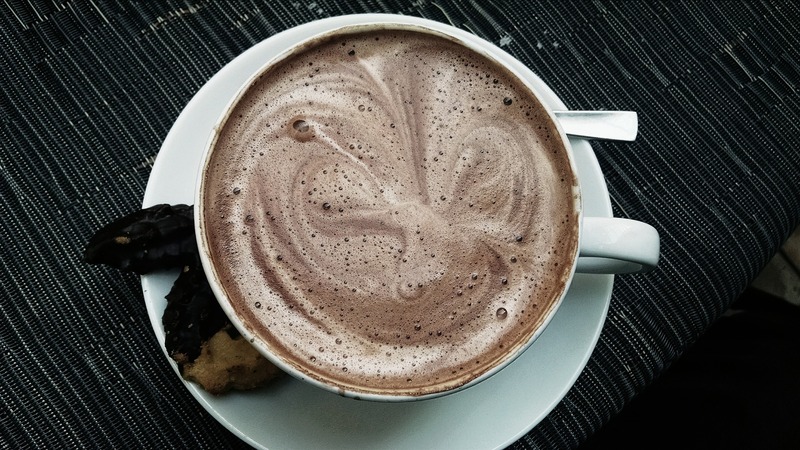 Hot chocolate instead of green tea – A Cornell University study found the antioxidant content of hot chocolate to be twice as strong as red wine and 2-3 times stronger than green tea. But you won’t get the same benefits from a powder mix, which is usually full of added sugar and chemicals. Making your own with real, unsweetened cocoa is the best way. Almond butter instead of cream cheese – Flavored cream cheese has added sugar, which causes wrinkles, and plain cream cheese has dairy, which can cause skin to break out. Almond butter is better because it’s filled with protein, the building blocks of our skin. If you don’t care for almond butter, peanut butter is an OK alternative, but don’t opt for low-fat varieties, as the healthy fat in peanut butter is often replaced with sugar! Wild-caught salmon instead of farmed salmon – Salmon caught in the wild have similar amounts of omega-3 fatty acids as farmed salmon, but less unhealthy omega-6 fatty acids. They’re in the proper ecosystem, getting more exercise and eating what they normally eat. Farmed salmon, however, are often fed grains and food pellets, and they will even eat the trash that falls into their ponds. Yuck! Sweet potatoes instead of white potatoes – Both types of potato are great sources of fiber, but sweet potatoes are better at slowing down the aging process because they’re full of Vitamin A, which is great for the skin. Sprouted grain bread instead of white or wheat bread – The difference between sprouted grain and wheat bread is the wheat kernels have been allowed to sprout prior to grinding and baking. Sprouted grains have more protein, less carbohydrates, less fat, and are easier to digest than white or wheat breads. It also contains less gluten than white or wheat, but those with a gluten sensitivity or Celiac’s Disease shouldn’t consume it. Avocado oil instead of olive oil – Avocado oil has more monounsaturated fatty acids than olive oil, which help moisturize the skin from the inside out. It also has more Vitamin E and less saturated fat than olive oil. It also has a higher smoking point, making it a better alternative when cooking at high temperatures. Tomato paste instead fresh tomatoes – Surprising, right? Fresh tomatoes are great for you, but tomato paste actually has more of the powerful antioxidant lycopene. Usually we think that fruits and vegetables are better for us when fresh than cooked, but in this case it’s actually the opposite! Want more of these Superfood Switches? Sign up for my free eBook What To Eat To Look Younger, which gives you everything you need to know to get started in turning back the clock using the power of food.